SOURCE WEEK ANNOUNCED AT CAMP OF CHAMPIONS! Posted on May 5, 2008 at 4:59 pm. That’s right folks, The Source and Sourceboards.com is teaming up with the Camp of Champions to bring you Source Week at COC, July 12-18 2008 (Session “D”). Enroll today so you can come shred with the Source team, learn so many new tricks and ride the best summer park on Earth! 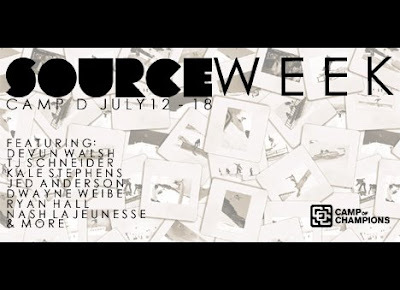 So come shred/skate/chill with The Source team at Source Week at Camp of Champions! Log onto The Camp of Champions Website for more info! OMG SO SICK! CANT WAIT JED RIPS!